An evil mage who can shape-shift into a gigantic crocodile has stolen the Neverland Clock and broken the spell upon it so that time has returned to Neverland. As a consequence the girl who never grew up - did. Petra Pan, now a young woman, travels to London, England, in search of a knight worthy enough to be able to pull the only weapon capable of defeating the Aztec god Tezcatlipoca from the stone - Excalibur. 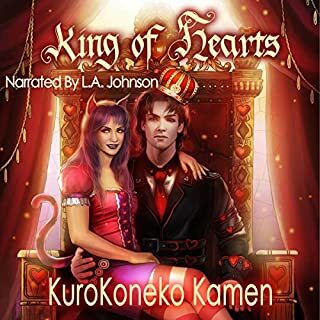 Petra along with her loyal male fairy companion, Tinker, encounters a fencing champion named Eirwen Darling, who after committing a heroic deed, appears to be the perfect knight, and one whom Petra falls in love with at first sight. She kidnaps Eirwen and his two younger sisters, and takes them to the dying mystical island of Neverland. Afterwards, Eirwen struggles with not only his budding feelings for the beautiful and surprisingly well-endowed Petra Pan, but also his doubts about being Neverland’s foretold knight and would-be King. Will Eirwen be able to find his ‘happy thought’ and learn how to fly in order to gain an extra edge in battle before it’s too late? The storyline is intriguing, entertaining, hilarious at times and very exciting. I really loved the uniqueness of it. 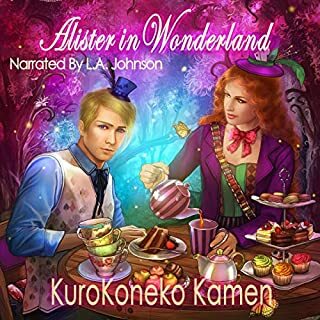 The narration was on point, I really enjoy listening to this audiobook! Petra has become one of my favorite characters in a book ever. The narrator was good, but had a rough start with his British accent, although it did get better as the book went on. Whether it's Peter or Petra, this Pan is the same humorous person, though note this is not for children, it's certainly an adult story. The story is certainly different from the original but very entertaining. The story is about an Aztec god Tezcatlipoca who had the Neverland clock stolen, thus everyone in Neverland is aging. Petra is no longer the 12 years old but a young woman. The only way to get the clock back is to remove Excalibur from the stone. Petra and Tinker(who is male here) need a champion to help remove the sword and defeat the evil guard, thus come Eirwen Darling, who is a fencing champ and also dying of brain cancer and thus the adventure begins! 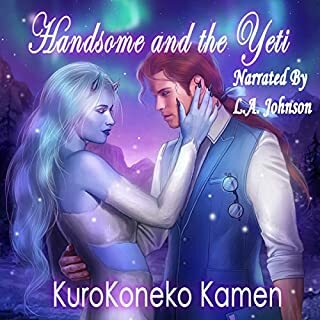 The story has lots of humor and very well written, the narrator did a great job in the telling. What a wonderful spin on Peter Pan. There’s action,adventure,magic. I enjoyed this immensely and would recommend it. A fantastic read by this author. The narrator does a spectacular job. What a wonderful unique spin on peter pan as Petra Pam. The story has action,adventure,magic. The narrator does a spectacular job. 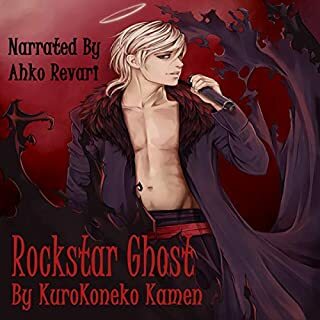 I give this narrator 5 stars. 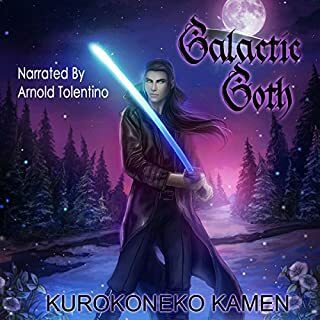 He is very impressive and I hope to hear more of his narrations! Do you remember the story Peter Pan well this is Petra pan a girl right huh. LET me tell you in my words ok well as i said we were asleep and then i feel something moving thought i was dreaming and i thought i was but no i am not. Well you want find some thing cute the whole thing is all girls in never never land and i am the only boy except the fairy you see Captain Hook is Jasmine Hook yea i find out she Petra Pan sister how funny ,Her band of merry people are girls in tu tu and her ship is different colors . i get pushed in the pond and they were the and was the merman yea you heard me right but they thought i die but they did not bother me wow. Well thing are getting better as the story goes on you see we pick up some help and then we are in cave and then the things are stone but how and to get the stone form the god then if i do i become king ok we will see. 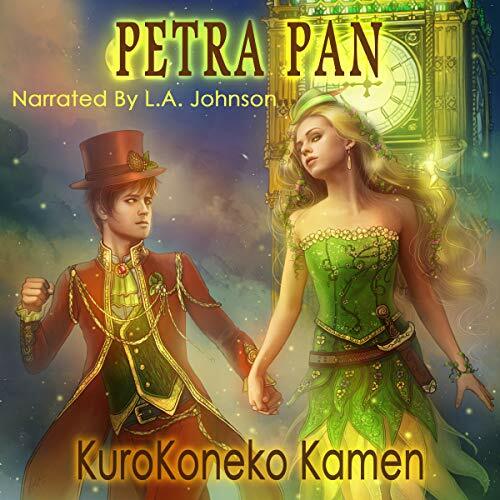 Petra Pan is a genderbent story of the classic Peter Pan, adult version (not for children). However, the story is definitely different than the original fairytale but contains just enough of a resemblance that you cannot mentally compare the two. The characters are interesting and likable and the storyline is entertaining. I really enjoyed this book! This was different from my normal listen so that was interesting to try something new!